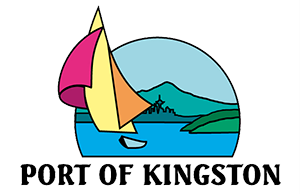 Welcome to the January 24th, 2018 Regular Meeting of the Kingston Port Commission. PUBLIC COMMENT: Citizens may address the Commission regarding any item related to Port business, including items on the agenda. After being recognized by the Chair, please move to the front of the room and address your comments to the Commissioners. Please identify yourself by stating your name. In order to hear as many people as possible, the Commission will refrain from commenting on individual testimony until public comment has been taken. Public comment period is limited to 30 minutes. CONSENT AGENDA: These matters are routine and will be enacted by one motion of the Commission with no separate discussion. If discussion is desired, that item may be removed from the Consent Agenda by a Commissioner. Kitsap County’s Determination of de minimis for the Washington Boulevard Corridor Improvement Project: See attached documents. PUBLIC COMMENT: Citizens may address the Commission regarding any item related to Port business, including items on the agenda. After being recognized by the Chair, please move to the front of the room and address your comments to the Commissioners. Please identify yourself by stating your name. NEXT REGULAR MEETING – WEDNESDAY, FEBRUARY 28TH, 2018 AT 1:00 P.M.